Nov 18, 2014 - Rabbi Kalman Ze'ev Levine, 55, of Jerusalem was killed when two terrorists attacked worshipers in a synagogue of the Har Nof neighborhood in Jerusalem the wielding a gun and butcher knives. At 7:00 on Tuesday morning, two terrorists wielding a gun and butcher knives entered the Kehillat Bnei Torah synagogue on Harav Shimon Agassi Street in the ultra-Orthodox Har Nof neighborhood in Jerusalem. They began attacking worshipers, stabbing them before opening fire. About 30 worshipers were in the midst of the morning prayers, wearing prayer shawls and phylacteries. 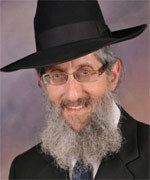 Four people were killed in the attack, among them Rabbi Kalman Ze'ev Levine. In 1977, he spent two years studying yeshiva at a yeshiva in Israel before returning to Los Angeles to attend a post-high school study program at Yeshiva University Los Angeles (YULA). Levine returned to Israel again in the early 1980s and this time he never left. Kalman Levine devoted himself to study, at the Lev Avraham Kollel in Mea Shearim and the evening kollel at Kehillat Bnei Torah where he was killed. Part of his life’s work was putting Orthodox Judaism in a positive light. Levine's neighbor said that he always lived righteously. "He was always the last one praying at the synagogue. He would get up at sunrise and go to bed at two in the morning. He hardly slept and always had a book in his hand." Shimon Kraft, Levine’s best friend from childhood spoke about their lives growing up. He described his friend as a very humble person who, while devoted to increasing his knowledge of Judaism and Torah, also had a sharp sense of humor and loved to joke around. Rabbi Yerachmiel Levine, son of Rabbi Kalman Levine, eulogized his late father: "My father would study (Torah) all day long and would return home at night only to learn some more until he would fall asleep in his chair. Abba (Father), you were in the middle of saying the Shema (prayer) when your soul left your body and the terrorists came and murdered you." Rabbi Kalman Levine was buried in the Givat Shaul cemetery in Jerusalem. He is survived by his wife, nine children and five grandchildren, as well as his parents, Bernard and Joan Levine who reside in Kansas City.